A few days ago I told you about how to waste your time planting corn. Last night I decided to practice bagging the corn tassels for hand pollinating. The purpose of this is to capture pollen from the tassels, which would then be ideally spread on the silks of the newly forming corn. To do this right, the silks also need to be bagged, but I have already resolved that it is too late this year to have success with this. Right now I just want to be sure I understand how to bag the tassels so I can hand pollinate next year. As frustrating as it is to find I have wasted my time, at least I have learned something for next year. 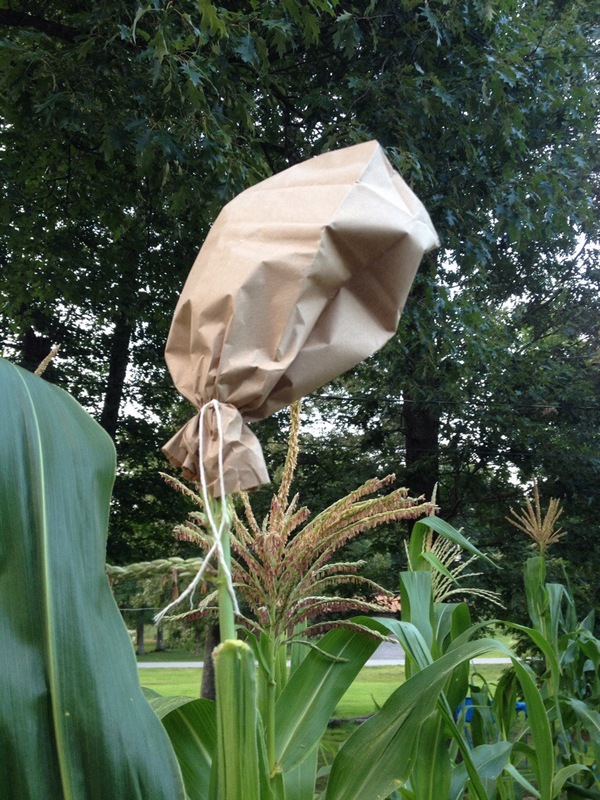 This entry was posted in Gardening and tagged in corn, gardening, pollinating.